Looking for a Microsoft Office 365 Brisbane expert? Look no further. Less Stress Computer Services can get you or your business up and running with Microsoft Office 365 today. Microsoft Office 365 allows you to work anywhere, at any time, without your email host infrastructure. Less Stress offers cutting-edge Microsoft Office 365 installation and set-up to help you utilise the full potential of the latest Microsoft Office 365 and tools. We provide a cloud-based software solution with the right tools to enhance your collaboration and communication capabilities. Our team of skilled staff has comprehensive knowledge and experience of managing cloud-based software, which gives us the ability to deliver a Microsoft Office 365 solution customised especially for you. Keeping up with the times is important to your business – leverage our expertise with Microsoft Office 365 to keep up with technology. Our skilled technicians have the experience and expertise to deliver Microsoft Office 365 projects. From installation to implementation, Less Stress has got you covered. Our technicians don’t just provide Microsoft Office 365 installation, we assist you through the implementation process. We help you to understand and leverage these tools to enable your system to reach optimum performance. Get a competitive advantage, reduce your IT infrastructure footprint and take control of your business data with ease – all with Microsoft Office 365. With reliable Microsoft Office 365 support from Stress Less, you can conduct your business activities anywhere, anytime, while keeping your valuable data secured. 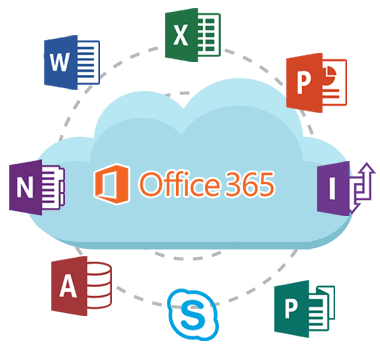 Microsoft Office 365 combines the functionality of the usual Microsoft Office desktop software, Web Apps and SharePoint but makes the latest versions available via the cloud, at all times, for an affordable price. At Less Stress Computer Services, we provide complete support for Microsoft Office 365 to improve your operational capacity. The days of getting stuck behind the firewall are gone. Individuals and businesses of all sizes can now use enterprise-grade tools and unified communication tools to increase productivity. Expand your business capacity to grow with a team of experts from Less Stress Computer Services. For Microsoft Office 365 installation, we have in-house experts ready to help you achieve your business objectives. Our experience has made us one of the most trusted companies for computer help in the greater Brisbane region. We cover many IT aspects, because we aim to be the one-stop shop you can always contact when you have computer problems. 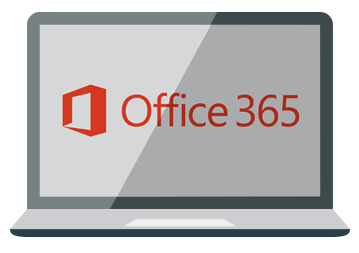 For any questions about Microsoft Office 365 installation, contact us today.